Since November 8, 2016, Democrats admittedly haven’t been doing a lot of winning. In 2017, Democrats have closely followed a succession of special elections — Kansas’s 4th, Montana’s At-Large, South Carolina’s 5th, Georgia’s 6th — where the Democratic candidate seemed to be so close to victory only to lose to the Republican candidate in the end. After Jon Ossoff’s loss in Georgia’s 6th congressional district, which became the most expensive House race in history, Democrats seemed to give up on electoral victory in 2017. The pundits moved on, and the focus has become 2018 and who will be the Democratic nominee for president in 2020. What has been overlooked, however, is that Democrats have been doing a lot of winning at the state and local level. Just this month, Democrats had two surprise victories in state legislative special elections in Oklahoma. In May, a Democrat won a special election for a New York State Assembly district that Trump won handily in November. State-level races offer real opportunities for Democrats to win in districts they have never won before, and in no place are there more opportunities to do this in 2017 than in Virginia. You may have already heard about the governor’s race, and it’s clear that Virginia’s continued progress depends on winning that race. But the even bigger prize will be to take over the Virginia State House. This year, all 100 seats are up. And while Democrats only hold 34 seats, Hillary won in 51 of them in 2016. And, if you add in seats that Lieutenant Governor Ralph Northam (who is at the top of the ticket this cycle), Governor Terry McAuliffe, and Senators Tim Kaine and Mark Warner have won in recent years, there’s an even larger universe of seats that Democrats have won running statewide, but that they have failed to win at the local level. The path to victory is there. But, we don’t have all the pieces in place yet to get there. So, let’s look at the seats, the candidates, and what we still need more of: the money. But first: let’s remember why Virginia matters for people from across the country. Why should someone in California, or Connecticut, or Maryland care about Virginia in 2017? At the top of the list of reasons is health care. As Republicans in Washington craft new ways to strip health care from millions, a Democratic legislature in Virginia would work to expand Medicaid. If that happened, 400,000 people would gain health care coverage. Right now, the federal minimum wage is in effect in Virginia, which is $7.25 per hour. A Democratic House of Delegates would work to raise the minimum wage; this past legislative cycle, a proposal to raise the minimum wage was defeated by Senate Republicans on a party line vote. A Democrat in the Governor’s mansion has been a firewall against Republican restrictions on women’s health care in Virginia. Since 2010, the Virginia General Assembly has proposed more than 75 restrictions on women’s reproductive health care. With a Democratic majority in the House of Delegates, the focus would shift to ensuring that all women have access to reproductive services, rather than proposing additional restrictions. Virginia significantly lags behind other states in embracing clean energy and strong environmental policy, an issue made even more acute by the Trump Administration’s short-sighted decisions on climate and natural resources. On the issues that matter nationally, Virginia is the front lines, and a Democratic House of Delegates will be a catalyst for progressive change in the state. Why is 2017 different from other years? First, candidate recruitment. This year, Democrats are fielding candidates in 89 of the 100 House of Delegate districts. That’s a big deal. By comparison, Democrats ran 56 candidates in 2015, 67 candidates in 2013, and 54 candidates in 2011. Second, these are winnable seats. If these candidates do half as well as Jon Ossoff did running in a district that typically votes for a Republican by 20 points, Democrats can still take the majority in the House of Delegates. Of the 17 seats that Democrats would need to win to gain a legislative majority, 13 of them lean Democratic on the national and state level. There’s another six seats where Republicans are only slightly favored, winning by less than 5 points on average. There’s our majority right there. This isn’t about swinging some of the most conservative congressional districts in the county. It’s about winning where others have won before. A big challenge for Democrats in the past has been a failure to get candidates to run in highly competitive districts. For example, James Massie, of District 72, had run unopposed for the past four elections, and John O’Bannon, of District 73, has run unopposed the past five elections. In 2016, Hillary won those districts by 4 points and 7 points, respectively. This year, both districts have strong, Democratic candidates running. As the Ossoff campaign showed, winning isn’t all about the money. But at the state legislative level, we know from experience that campaigns need to be able to raise around $300,000 to get the resources they need to run viable, competitive campaigns. And in some cases, they will need to raise more than that to fend of well-funded Republican challengers. Remember, it was in 2009 that the Koch Brothers tested their theory of taking over state legislatures here in Virginia. And while many Democratic candidates showed strong fundraising numbers this quarter, there are a number of campaigns that aren’t on track right now and need more help. To turn all of this energy into success, Democrats will need more resources than they have today. Let’s put it simply. Virginia matters. In a summer of fighting to keep people’s health care, Virginia gives us an important opportunity to give people care that they have never had. We can raise the minimum wage, protect women’s access to reproductive health care, and embrace a clean energy future. We can reject Trump in a big way even before 2018. And we can rebuild the Democratic Party in a state that is quickly shifting bluer and bluer. If you care about the future of the country, Virginia in 2017 is the place for the biggest and most achievable change this year. But to do what we seek to do — to wrest control of the State House from an entrenched GOP majority more interested in bathroom bills and denying climate change that improving conditions for Virginians — we need volunteers and we need resources. 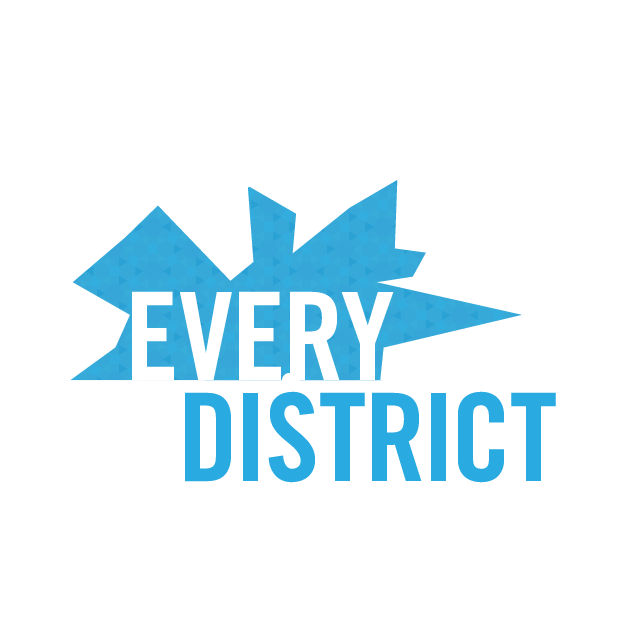 We’re helping to organize both, here at EveryDistrict. If you want to support the effort to win a legislative majority for Democrats in Richmond, sign up here for our email list to learn about volunteer opportunities and click here to donate $17 to help us win the 17 districts we need to win a majority. Help Democrats start winning again — we can do it in Virginia in 2017 but we need your help.